There has been lots of media attention concerning tuna fishing in the Pacific in the last two weeks. How does this pertain to sharks? Tuna boats catch a vast share of the world's sharks, and half the world's tuna comes out of the western Pacific. Today, the Waitt Foundation and Oceans 5, in close partnership with the Pacific island nation of Kiribati, agreed to make a joint grant of $1 million to support implementation of Kiribati’s Phoenix Islands Protected Area (PIPA). 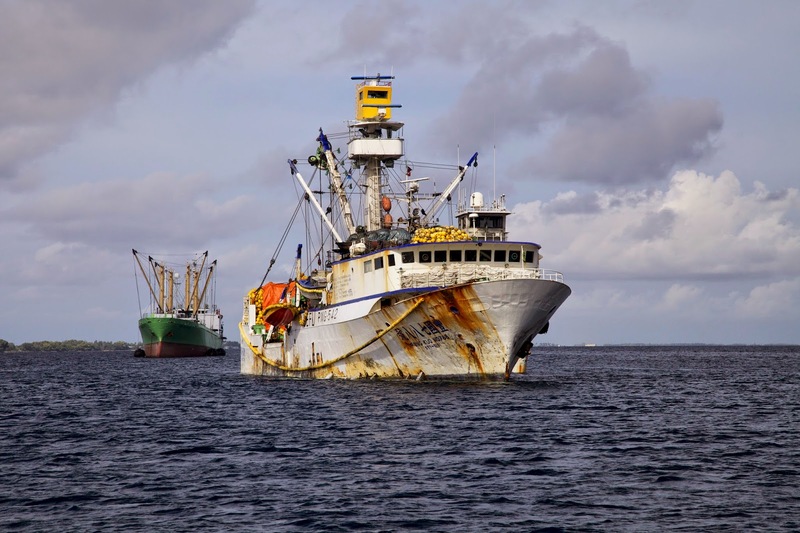 The PIPA will be fully protected by January 2015, when the government will exclude commercial fishing vessels from a 410,000 square kilometer area, spanning nearly the size of California. The police in Kiribati have launched an investigation into the theft of more than 1.1 million US dollars through what the goverment is calling cyber crime. The Minister of Commerce Pinto Katia has told parliament that the missing money has been stolen and there was nothing they could do to avoid such theft as it involved highly sophisticated skills. The Kiribati Independent reports that the money relates to the wiring of money to an overseas account in order to purchase a landing craft for the Line and Phoenix islands. Pacific Island countries and the United States have reached a $90 million tuna deal, which is believed to be the world's most lucrative fishing access agreement. A tiny South Pacific nation has shocked the fishing world by revealing without warning that it has forced most of the American tuna fleet out of its vast waters and is letting Chinese and Taiwanese boats take over. In a draft prospectus presented to the Hong Kong Stock Exchange, the China Tuna Industry Group revealed China had exceeded the catch quotas for Bigeye and Yellowfin tuna for three of the last four years for which records are available.